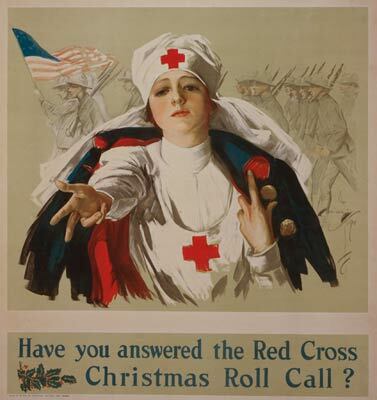 Have you answered the Red Cross Christmas roll call ? Artist : Fisher, Harrison, 1875-1934. Poster showing a Red Cross nurse in a cloak, extending her hand, as soldiers march behind with an American flag. C1918.